What does Global Findex Database 2014 tell about Financial Inclusion in India? Improved, but a long way to go...! The World Bank’s Development Research Group ‘Global Financial Inclusion Database (Global Findex)’ has recently published its comprehensive report The Global Findex Database 2014: Measuring Financial Inclusion around the World and The 2014 Global Findex database. Good news is that between 2011 and 2014, India has fared well with regards to the number of account holders. In 2014, 53% adults are reported to have bank accounts, which is a sharp increase from 35% in 2011. What is also encouraging is that the banking penetration has drastically increased in rural areas between 2011 and 2014 (33% in 2011, 50% in 2014). However, as promising as these numbers look, unfortunately, financial inclusion goal in India is far from achieved. 1. The poor are still excluded: Despite government’s role in establishing banks and other infrastructure to increase the poor’s access to financial services, 56% of those adults (% age 15+) who come under the ‘poorest 40%’ are still unbanked (compared to 41% of those who belong to the ‘richest 60%’). 2. Access does not mean usage: Many Indians have bank accounts, but they are not using them. 43% of account holders did not make any deposits or withdrawals in their bank accounts in the past year. 67% of account holders reported of not making a single deposit in any typical month. 38% of adults (% age 15+) saved in the past year; yet, only 14% saved with formal savings accounts. 46% of adults (% age 15+)borrowed in the previous year; but, only 6% did so from formal institutions. 3. The power of the informal financial sources: Many are increasingly using informal financial services for their financial needs, particularly when it comes to borrowing. 13% adults (% age 15+) borrowed from money lenders; and 32% (% age 15+) from friends and relatives. Around half of adults reported that they could raise funds during emergency; amongst these adults, only 1% could raise funds from financial institutions. 41% of such adults relied on their informal sources, mainly their friends and family;and 35% on their own savings. 4. Gender disparity in financial inclusion: More women have bank accounts today; however, the gender gap has not narrowed. There was an 18-point difference in 2011 (44% male and 26% female with bank accounts), and there is a 19-point difference in 2014 (62% male and 43% female with bank accounts). Financial inclusion initiatives are usually targeted towards the general population; however, are those messages aligning with a woman’s way of life? That is a bigger question that needs to be answered. 5. Cash is the predominant mode of transaction: Despite the prevalence of credit/ debit cards, mobile phones, ATMs, shop-based terminals, banking agents etc, cash is still the king. 20% of adults (% age 15+) reported to have debit cards, and 4% credit cards. Only 11% adults used debit cards in the previous year. All types of bills or fees were paid in cash. For example, 22% of adults paid school fees, 99% of these adults paid in cash (6% reported of using a bank account as well). Another example is that of paying utility bills where 39% of adults paid utility bills, and 100% of these adults reported of paying in cash (9% reported of using an account at a financial institution as well). Amongst 19% of adults (% age 15)who received wages in the past year, 86% received wages in cash. 6. Mobile banking still a big question mark: Experts argue that we need a widespread usage of mobile payment technology so that using electronic payments for day-to-day use becomes easier and safer than using cash. 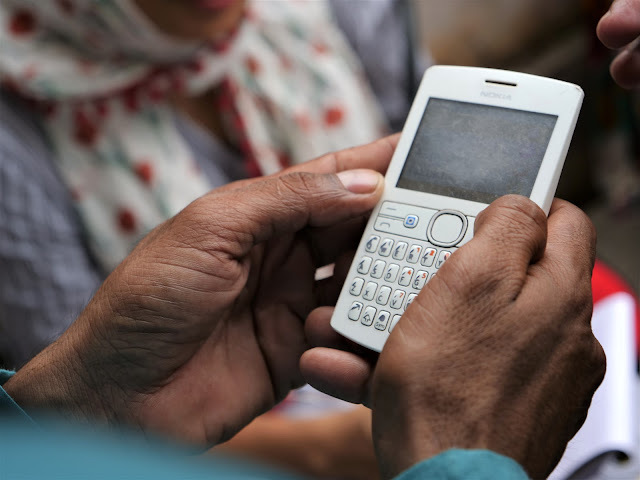 In India, the Interbank Mobile Payment System (IMPS) has been launched; yet, only 2% adults have mobile accounts (58% of adults in Kenya have mobile accounts). Amongst the bank account holders, only 6% had ever made any kind of transaction from an account at a financial institution using a mobile phone. Therefore, I conclude by emphasizing that account ownership is a first step towards financial inclusion. But what really matters is whether people are actually using their accounts. The Global Findex Database highlights these gaps, and puts forth the harsh truth that India still has a long way to go to achieve the financial inclusion in a true sense.